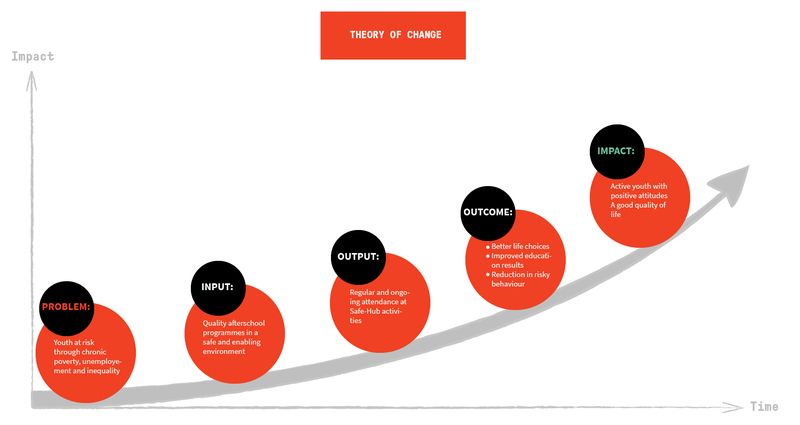 Safe Hub’s Theory of Change provides the theoretical framework for how, through our infrastructure and programmes, Safe-Hub addresses the persistent challenges faced by young people. The framework provides a logical, visual explanation of how Safe-Hub supports young people, over a period of time, in positively changing the way they think and behave on a daily basis. This individual change contributes to accumulative impact on their community and society.